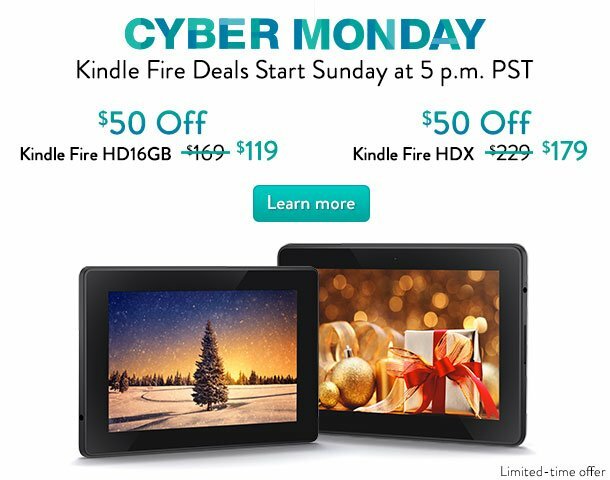 Amazon has dropped the price of the Kindle Fire HD and Kindle Fire HDX by $50 today as part of the Cyber Monday sales promotion. Indeed, this is the cheapest price that either 7-inch device has been sold for to date and is an incredible savings. If you’re looking to get your parents or grandparents a tablet or ereader then you’d be hard-pressed to beat these prices and value.